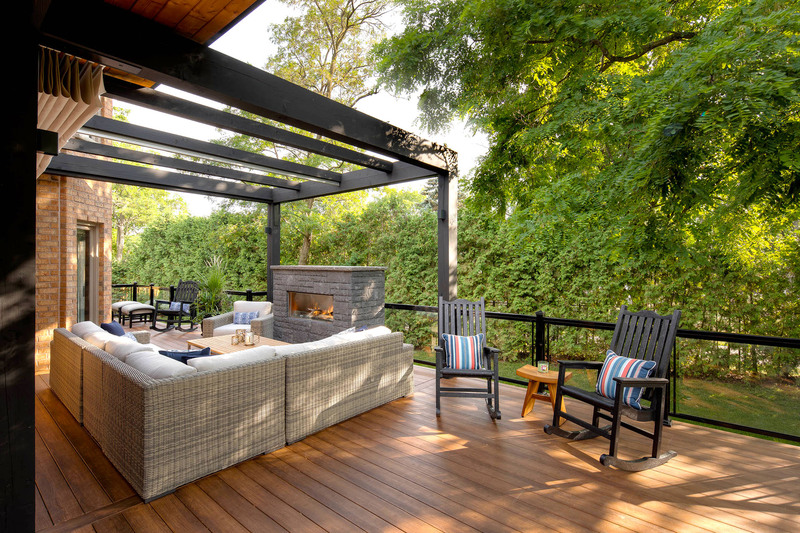 Enhancing the beauty of your backyard using trees, shrubs and bushes, has its benefits. It helps to filter pollutants, smoke and dust from the air while providing a refreshing landscape. 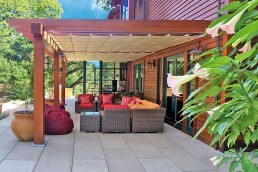 Towering trees also offer shelter and privacy. But, the areas that provide cover is something that nature controls. 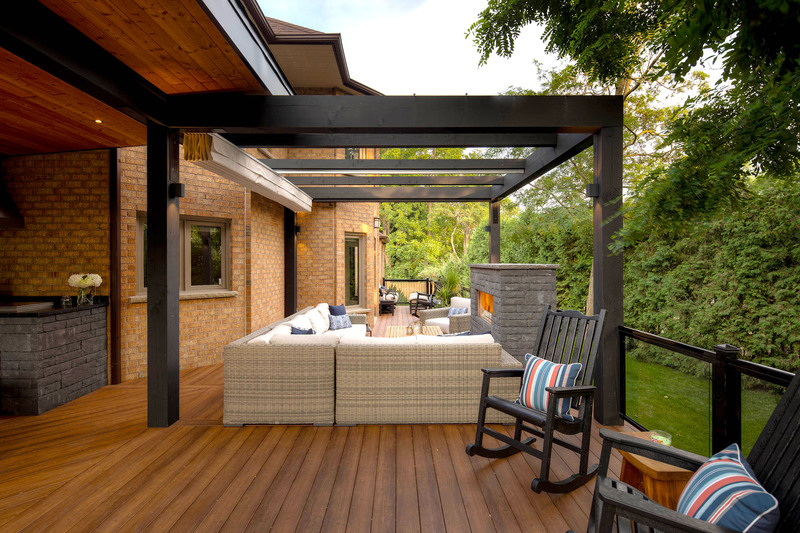 By strategically placing a retractable shade, the combination of natural and man-made products can achieve the protection desired. 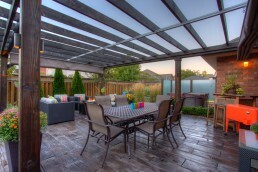 Situated along Lake Ontario, Scarborough is located in an area known for its stunning natural landscape. Locals can explore up to 15 kilometers along the Scarborough Bluffs while taking in nature’s beauty. A multitude of native plants and birds establish many hiking trails while pure native ecosystems line the Rouge River. 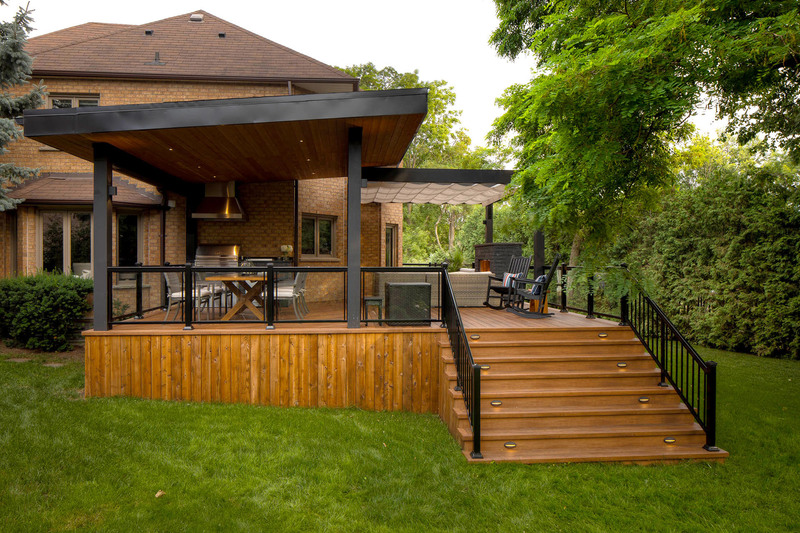 Surrounded by greenery, these Scarborough homeowners wished for a deck that sits amongst the trees. Living in an urbanized city enclosed with nature, any and all green space is fully cherished and enriched. 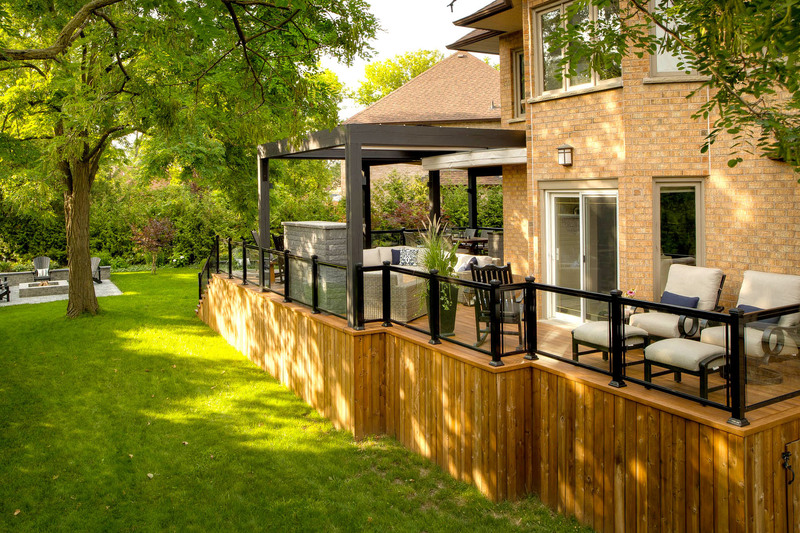 With the help of Royal Decks & Landscapes, the backyard is fitted with a well-designed raised deck. The many spaces have a variety of functions allowing a bird’s eye view of the warming fire pit below. 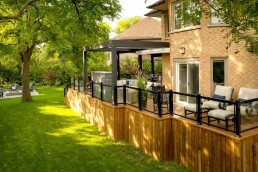 Looking to cover an area not protected by foliage, Royal Decks continued their partnership with ShadeFX. 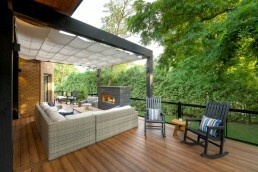 They mounted a custom 14’ x 14’ retractable shade to an attached pergola. 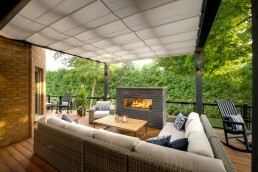 The addition of the Sunbrella Oyster fabric provides further shelter while complementing the trendy wicker furniture. 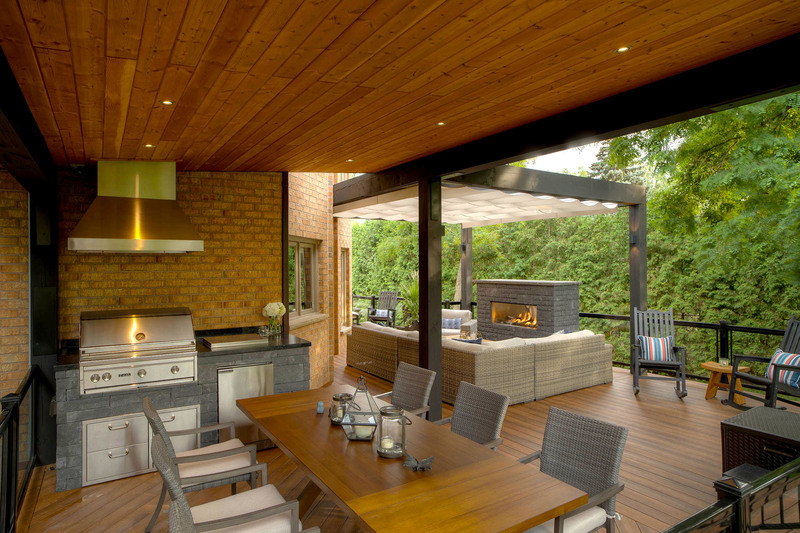 The retractable shade addition also provides protection from the elements. Certainly, a tree is nature’s greatest parasol. However, where the leaves can’t reach, ShadeFX retractable canopies can fill that void. Nature not on your side? We can help.